Get help developing the 3GPP authentication and security functions used in 3G and 4G technology. Saturn Eclipse provide support to understand and develop the Milenage algorithm set. In 3rd and 4th generation mobile networks, communications are secured using an algorithm set called ‘Milenage’. Milenage is a collection of cryptographic functions that provide authentication, encryption and integrity between SIM cards and a mobile core network. 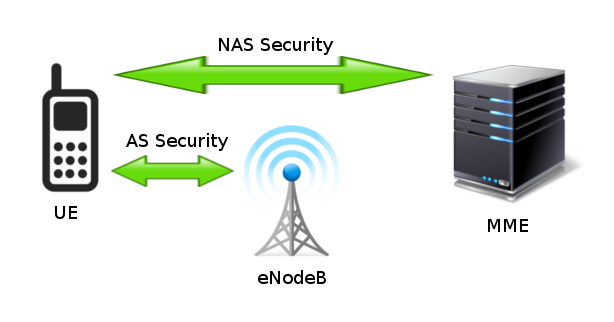 The NAS protocol layer provides signalling between the UE and core network. NAS messages are ciphered and integrity protected between the UE and MME. AS security is used to protect communications over-the–air between UE and eNodeB. RRC messages are integrity protected and ciphered but U-plane data is only ciphered. Please contact us if you would like more information on implementing the Milenage algorithms in 3G and 4G mobile networks.